Xavier University Conaton Learning Commons | TROX USA Inc. The Conaton Learning Commons at the Xavier University, Ohio was designed by the Boston located Shepley Bulfinch Richardson and Abbott architects and opened in 2010. This 84,500 square-foot and five story building is one of two facilities located in the heart of the Hoff Academic Quad and features a 200-seat auditorium, academic labs, individual study rooms and offices among others. The building was designed to meet the LEED® Silver certification. 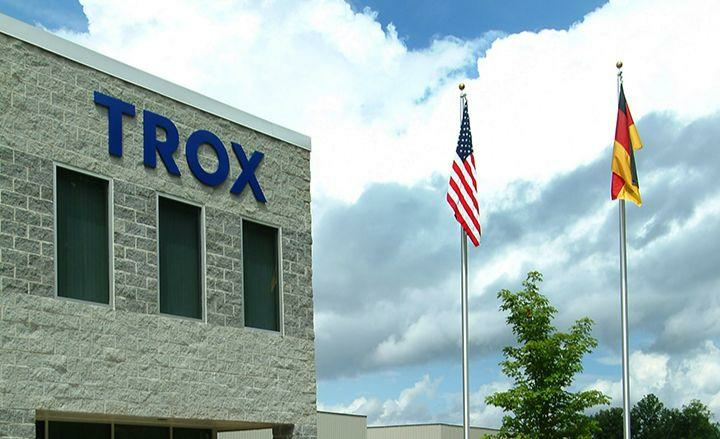 In this project TROX USA provided Displacement Flow Diffusers for office and learning space climate control. The diffusers are offered with more than 20 standard versions in a variety of shapes, allowing the architects to be more effectively integrated in interior designs. The construction of the Conaton Learning Commons at Xavier University was designed to meet the LEED® Silver rating and reflects the University's commitment to sustainable design. The TROX displacement diffusers were mounted in different accommodations within the facility. The installation of TROX products can help to save energy and when meeting the performance criteria, can help to contribute to earn points.